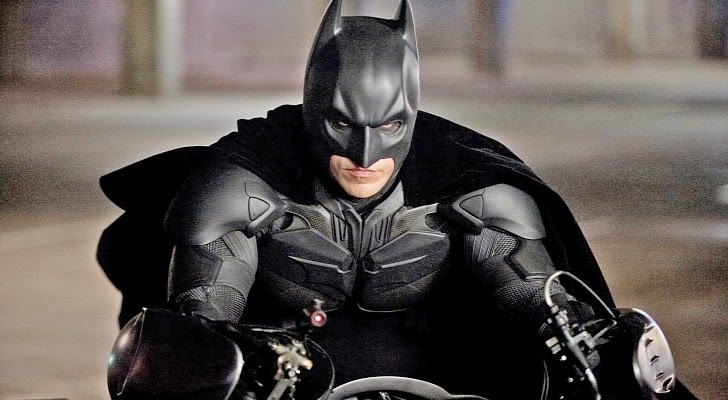 Keaton or Bale - Who Was The Best BATMAN? | Warped Factor - Words in the Key of Geek. 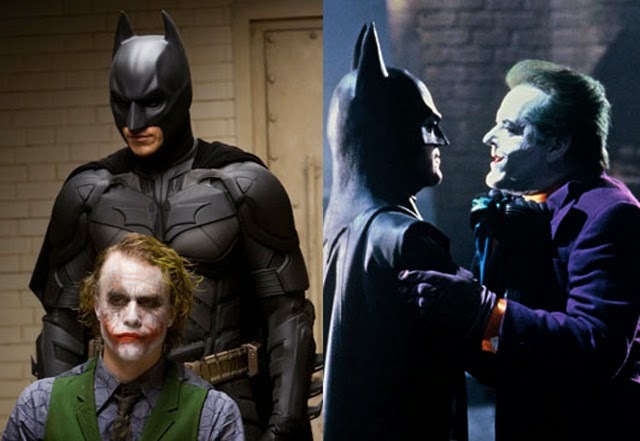 Keaton or Bale - Who Was The Best BATMAN? Tom Pheby asks, are you sweet on Keaton or do you hail Bale? Let's be honest, we all love to compare things. Whether as a pastime or just an extremely curious hobby. Was Pele better than Best or Cruyff ? Was the original Star Wars Trilogy better than the Prequels? 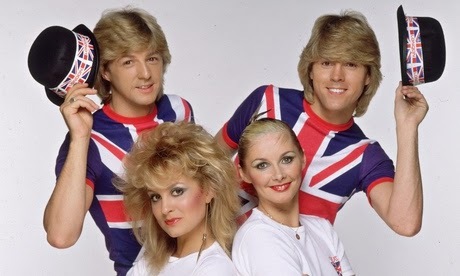 Who was better, Bucks Fizz or Brotherhood of Man? Well in the case of the last one, neither! Both were shocking. This all leads me nicely onto my own comparison article which will no doubt divide geek opinion - "Who was the better Batman, Keaton or Bale?" Let me just spread my cards on the table before we start. Christian Bale (sounds like something religious cowboys sit on) is not a popular figure with me. I admire his acting, his talent and application to a role (he once lost 60lbs to star in The Machinist), but I cannot forgive his rant at a member of the crew on the set of Terminator Salvation in which he savagely and unnecessarily abused the poor luv for apparently making a noise. It's alleged that it's not the first time that Bale has thrown a wobbler or an A-list hissy fit. It was all a bit unsavoury, and all a bit 'I'm a big star', and as a result no matter how well Mr Bale performs it tends to overshadow everything else for me. Whereas Michael Keaton just shared a hot water bottle and duvet with Michelle Pfeiffer, so on this score alone Keaton gets all the points and my undying admiration. But let's dig into the films that they starred in, and try to put all the other shenanigans to one side, in an effort to judge them on the only basis that should really matter - their work. Keaton is a disgracefully underrated actor who never got his just desserts, and it probably didn't help that he was up against much bigger box office names throughout his career. Even if he acted his socks off, which he frequently did, he never caught the imagination like a Di Niro or a Pacino did, but his work has been flawless and at times he has taken considerable risks. 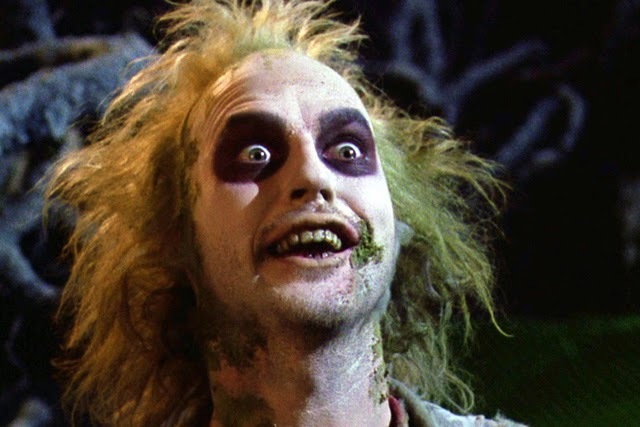 Not many would have taken the role of Beetlejuice, but Keaton liked to take chances. He has more in the locker than most. He can play comedy with ease, and then depict a psychotic killer with equal aplomb. 1990s Pacific Heights, remains one of my all time favourites. Playing the initially humble lodger, Carter Hayes, he took the role into new territory and stopped thousands of home owners renting property for many years. He was also excellent in Desperate Measures (1998) with Andy Garcia, where he oozed malicious intent as serial killer Peter McCabe, who it turns out is a perfect match to provide bone marrow for Garcia's dying Son. So in short, even though his opportunities have been few and far between, he has made the most of what was in offer and grasped it firmly with both hands. Bale looks calm and relaxed, makes a change. Bale on the other hand has appeared in much bigger films. The Brit has worked extremely hard to be box office and is not above delving into the method acting pot or pushing himself and his body to extraordinary limits to make a role totally believable. He has also mastered the American accent to such a degree that most English film goers think he is actually from across the pond. 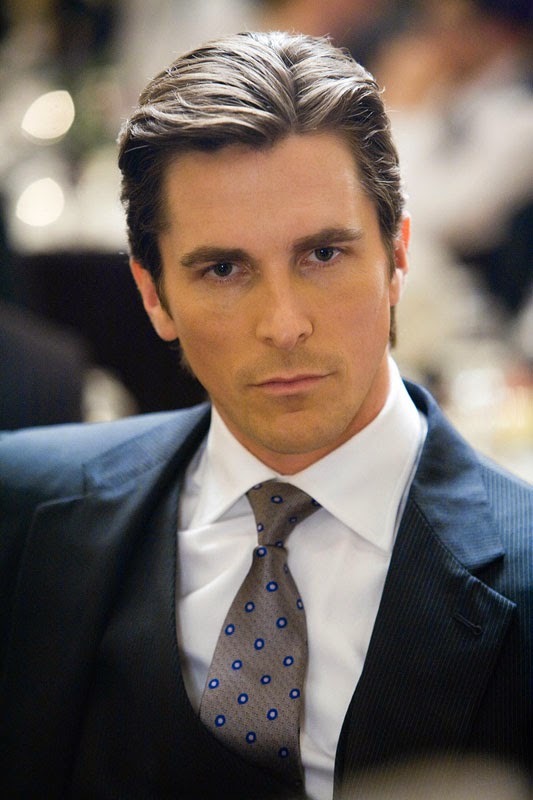 He came to our attention in American Psycho back in 2000, where he played the handsome, young urban professional, Patrick Bateman living in 1987 New York . It was a dark tale which saw Bale with a double life, respectable by day and a gruesome serial killer by night. He then went on to build his reputation in films such as The Machinist (2004), The Fighter (2010) - which is for me his finest - and American Hustle (2013). All brilliant films where he deserved the attention and praise lavished upon him. But now let's get down to Bat-business. 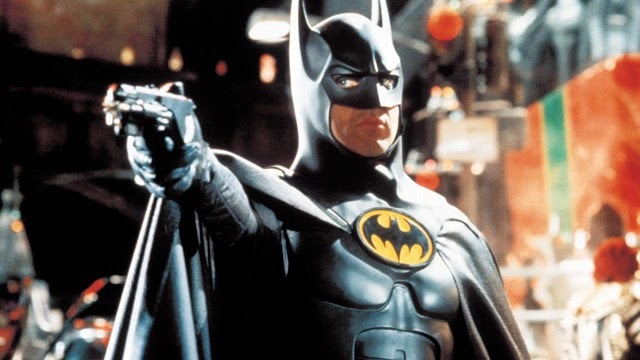 Keaton bought Batman to the big screen back in 1989, erasing the memory of the Adam West camp crusader of the 1960s. It was a very big deal in its day and many were surprised by the choice of lead. He was cast as Batman alongside Jack Nicholson's Joker. It was a delightful if patchy affair, the script was a bit fluffy in places and the dialogue slightly wooly, but Keaton took it all in his stride. He got his chance to show his scope in one scene where Bruce Wayne is confronted by the sadistic smiler. Keaton dipped into his reserves to show an extra aggressive side which was sadly never explored in full. "Let's get nuts! ", he shouted waving a poker at an expressionless Joker - who promptly shot him. Keaton's Batman/Wayne was a bit one dimensional at times. The movie never really dealt successfully with the conflicting duality of the character, despite Keaton raising the bar significantly. Keaton was persuaded back into the cowl and cape for Batman Returns, a movie which was overloaded with stars and villains. It was rumoured at the time that he was dissatisfied with the development of the character and that he was merely a decoration to his various crooked counterparts, at which point he called it quits. Had he got his wish, we may have seen a layer or two that escaped the final draft and Keaton would have easily gone on for a few sequels revealing more in each instalment, but it wasn't to be. About now it sounds a bit of a foregone conclusion where this is heading, and that I am anti the Keaton films. I'm not, I'm just narked that they could have gone further and given us more. They are undoubtedly dated now but Keaton himself was fantastic - when he got a scene that allowed him to be so that is. We now move on to Mr Hissy Fits portrayal, which benefited greatly from the vision of director/writer Christopher Nolan. He obviously liked the character, and what had been depicted in the Keaton/Burton films, but felt that there was much more to say. 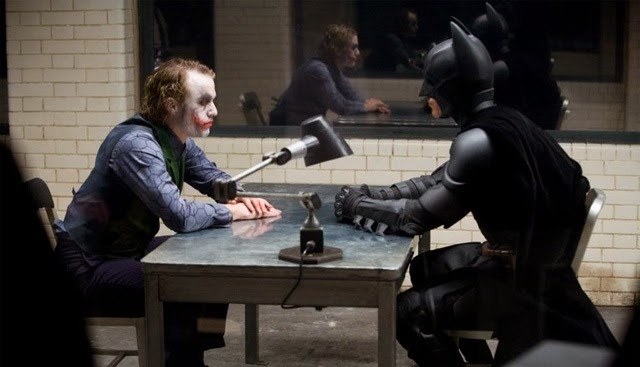 The Dark Knight went very dark indeed, and skilfully managed to reveal what made Batman. It showed the internal conflict that he suffered, he wasn't flawless, he wasn't all good, and underneath he had plenty of selfish reasons for ridding the streets of Gotham of riff raff and villains. As an audience, we wanted a meaner hero who sometimes dangles crooks over a buildings edge by their ankles for his own pleasure, whilst serving the greater good in a round about way, and Bale's performance was equal to the task. The pick of the Nolan films must be The Dark Knight (2008). It's Heath Ledger's last performance and what a performance (and film) it was! Batman teams up with with Jim Gordon (Gary Oldman) and DA Harvey Dent (Aaron Eckhart), to rid Gotham City of crime once and for all. But a quirky and psychotic young criminal calling himself the Joker (Heath Ledger) turns the city on its head, and Batman has to try to find an unenviable balance between remaining the hero or plunging into the role of reckless vigilante. Ledger puts in an astonishing performance as the Joker, alongside Bale's Batman. It's a sublime film that gives us everything. Its tight, action packed script gives us all the angles on the conflicted Bat that were ignored in Keaton's tenure. Keaton sadly was deprived of the quality afforded to Bale, and although I lean in favour of latter, I still enjoy Keaton in the role, but just wish that Tim Burton had taken the time to listen and change things around to play to the actors strengths, then the outcome would have been completely different in terms of who came out on top. But a least Keaton can rest in the knowledge that his own reputation is intact, and that the crew were probably happier to work on his projects than any that Bale worked on. Nolan must have bought in an anger management team before filming to monitor the stars moods, or had a tranquilliser gun waiting in the wings. Bucks Fizz by the way are still wowing the crowds at Butlins. Did I say crowds? I meant the elderly bingo hungry set. Take note Mr Bale, your only as big as your last gig.